Celadon Training School Truth or Lies? I think you've been misinformed about the starting pay sir. Sounds like you'll be team driving. Team driver starting pay is .34cpm and that's split. There's an idle bonus but its usually at 100$ MAX. Mostly around 85$. I've never gotten a fuel bonus and my truck gets great mpg I don't really know what's up with that. There's also detention pay and a quarterly safety bonus. Which is a few hundred if you do the safety videos and safety meeting and stay accident free. Yes its a team and the pay is correct but as a team it works out because of the extra time we can run. I have a better feel about this their have been no lies and lots of help to get going. This is a better deal they provide you your trainer up front and as soon as you get to Utah you leave with them and train. I think this program is a better choice over all no hoops that can be hidden and they send you a list up front of every thing travel, trainer, needs, and training to be expected. will keep it all informed as soon as I get going. So, mixed in with some complete BS was some truth, but regardless, some of these questions should've been asked in the first place. They had 2 trucks to train from that's no bull and the quality inn was full of guys with CDL's in hand and no trainers in sight getting 8 hrs a week then being put out so another student can get time. We ask all the questions before we went and your first day in class before he gives you the class rules he will ask you if you got your 2 pieces of paper and tell the whole group we will not help you get your DL you have to do it on your own and they will take you on Tue or day 2 to get them. If you fail they do not take you back to the DMV to get try again till next Tue. I promise you 1 night to study it is almost impossible innless your laws are the same or very close to them. I just put this all up so others and Ask the good questions but I only complain when its needed. If they would tell you that we have a problem with trucks and trainers and the 9 week to finish their course is only a guess and that its top range for most is 12 weeks + and you cant get a pay check till that far out. Would you give up a paying Job or stop looking for another place to train No I don't think so, you would keep looking wouldn't you? I would like to know one simple question. Except for the hotel, what did you find out new from what I posted on here in several posts already? A lot of what you ran into I talked about in my posts about Quality Driving and Celadon. However. There are a few half truths. First of all. The DL. You don't turn in you DL from your home state till after you pass the IN DL test. That way you won't have 2 DLs. That is against the law. You will find complainers no matter what. This is not easy. Nerves get frayed. Tempers get short. And who gets the blame every time? The school. I finally passed my CDL test today. It has been three + hard weeks. Some nights of little sleep due to worry. If your first experience here with Quality Driving has made you this mad, you might want to rethink your career choic. It is far from a bed of roses. The guy that went with us to Scotts office told us up front you have to give up your DL first off. We talked to a state patrol officer who stated we had to give up our DL to even take the test so we took his word sitting at a Pilot truck stop. We went with the mind to do this and knowing their would be some stuff we didn't like. So Joe S Mad was from the whole deal we didn't care for any endorsements and told non required nothing about getting a DL. Both of those was a killer if we had know the truth about we wouldn't have went. My co driver cant get hazmat any way he's a drug felon so it was stupid of them to let him come. We cant get out of state DL's because Ga will cut off our food stamps heating and Medicaid and we would have to pay back this months benefits. To top off being thrown out of their apartments. If we had even entered the training we would be unable to go to any other place. Swift and pam even as well as central told us we was damaged goods if we went to any testing for Celadon. I may have placed this on the wrong section of forum but we didn't run with our tails between our legs as Daniel B claims. And by his statement no I'm not the perfect student I have held a CDL permit before and have worked for America trucking Scales trucking and Sargent's trucking and several others from driver in training to mechanic. I know what to expect and to lay down and play the beaten dog in the corner is not needed other places don't need to lie to get you to the door. We had factors that we had to look at befor we went home. My co driver and my family the extra time before we had any money to pay bills and the fact co driver was a convicted drug felon and couldn't do the hazmat that alone was the send him home we ben told over and over he cant get them . We was happy they took 2 weeks to except him as a felon with drug conviction. Said it was our EXP but good luck getting a trainer if you do their is a group with cdls at the quality inn on shadeland ave that has their cdls and would love to know who pushed you to the front of the pack to get one they are 6 to 12 weeks in and no trainers. In motel waiting for Monday class at Central Ref in ATL seen the class and talked to the people their not the first lie been told yet. 1 week hear then to salt lake Utah and 1 week to get cdl and the rest of the 4 to 6 weeks is in a truck with trainer. 375 first 2 weeks after arrival and goes up to 475 around week 6. start pay is .38 with fuel idle and others making it around .44 if you get both. It's odd, because it doesn't seem like anything actually happened to you. You said you showed up and there was no hotel room ready, you talked to a bunch of people, and you left. Were you even there for two days? It doesn't sound like you ever even got a hotel room and you left. So I don't think you have any actual experiences to share, just a bunch of complaints you've passed on from other people you met there. Yes we was their Sunday all day and Monday morning till 12 pm we couldn't leave till we went to class and talked to Scott the training director. I know it was hard to read sorry I left spaces in the draft but the forum pushed it all up together. Well most of the stuff The recruiters told us was pure bull. Place this on the last choice in hell list. 1. We arrived Sunday and they had no room and didn't have us on any list to arrive. It took 2 hr to get a room because no on was around to approve us. 2. We started to talk to the 25 or so people outside the motel and it was one story after another of how long they had been in training. List at bottom. 3. Got to day one couldn't get free food not on the approved list. 4. Entered class and found 15 people from weeks prior still in class of 20 new students. Ie most was from other hotels 5 from ours. 5. Told we have to get a Indiana DL before we can take any classes or test 6. Told they would not be teaching or helping with the DL up their it was on you to get it and learn the rules and laws , they are way different from most states speed limits and signage and just a mix of stuff different. if you go and cant pass it you have lost the ability to get a CDL and Drive a car your DL is suspended in your state and you no longer have one. Your insurance is dropped in your home state and the other stuff that comes with moving to another state because most all states see this as moving out of state as you have to certify that you live in Indiana to get DL. 7. Told you must get TANKER, HASMAT, DOUBLE and TRIPS. After recruiter told us we was not required to do so. 8. Entered Scott's office to address all this and was told they wasn't required to tell any one about the Dl and that they would never tell any one they didn't have to get the endorsements. This after some of the guys at motel had stated they didn't get endorsements in their class but other classes had. 9. Told if we had by Scott that all their drivers had to hold all this or couldn't work for them. my team mate has 2 members of family working for them and no endorsements he had no reply to that but it was a lie. 10 got told we shouldn't get any money back for the trip because we was told all this before we arrived. then told the hotel to charge us for the room. The lady told us not to worry they do that at least 15 to 20 times a month they just bill them any way. 11. The com checks had money taken out of them after they had given them to us 5.00 a small price to pay to get out of the lies. we got half of our cost to get out. Motel Stories We arrived to get the room an was standing around talking to the guys looking to wash close and smoking and got told all kind stuff as fallows. 1. Guy asked if we was their for training when he heard we couldn't get in a room we told him yep how you guess he said they had all just been kicked from the other hotel and that lots of guys had to double up in rooms. we started asking what the deal with training was and he laughed he said they had been 5 weeks to get to the range and he was getting like 20 min a day. 2. Others said the same thing as we all got closer to talk. They started to open up to it all. 3.The guys had all been told mostly the same thing no endorsements and only 1 had them but was made to go back and get them after needing a sleep study to get cdl. 4. No one had seen a truck till week 4 if at all, 3 guys was week 6 and no trainers yet. 5. Told they had only 2 trucks on range and 2 road trucks and the hole group was walking to the range because the 2 busses used to take you over was always full. 6. They said you only have 2 chances to get a cdl if in 14 to 16 days you didn't get them you go home on your dime that lots of people go home that way. 7.A few min later some others joined us and they had class a all ready and had gotten a trainer and was road training at week 1 and 2 that they was priority and trainers go with them first. 8. The group all agreed with that statement and had a few choice words ill not repeat about it. 9. The group started to brake down at that point and others started in that some had been in class as long as 10 weeks and no pay checks and had spent only a few hours with trainers because they was going on a list of people 1 day out and then the next guy goes but no one had seen any one complete training in less than 3 months or more in a few months. I don't make a habit of passing on lies or telling lies, but all the part truths and other stuff I read around the web came to a head when we arrived. This is the way it was but you can take it with a grain of salt if you like but when you get their you will find out is all I can say. We was also told when we left and started calling Central about going to their school if you sign or test dot or any thing for Celadon no one will hire you or train you its a career killer off the bat. The managers talked to us and had heard the same stuff and gave us a full run down of what they do and checked on the stuff to come to them over the phone. They sent us money to drive back home on and got us a room for the week so we can start with the local school next week. ALL THIS IS MY AND A CO DRIVERS EXP AND I DO NOT WISH TO PUSH IT OFF AS ANY THING OTHER THAN WHAT HAPPENED TO US OTHERS MAY HAVE A DIFFRENT EXP BUT LOOK BEFOR YOU LEEP. As far as the permits. Don't bother getting them before leaving home. When you get here, you will first have to get an IN driver's license then you will take your tests to get your IN permits. There have been no states that I have seen that they accept other than the IN ones. From what I understand, that is an IN rule, not a Celadon rule. Some states require you, when you return to take all the test all over again. That you will have to check with your state. I know IL, NY, and CA require you to start from scratch to transfer your license back to their state. If you need more help, keep up with my posts in the other forum on here. Well add Ga to that list but if I have to get an Dl in that state I cant even go. The rule hear is if you get a second Dl in any state you have to give up your Ga Dl and have to lose all state assistance. You are not allowed to hold a Dl in any other state if you live in Ga. I was told that at the DMV and by the lady at DFCS who said if I had to get a Dl up their they have to cut my family off of assistance, and they cant make it with out it no money for food or heat. I guess I will be returning home Monday if that is the case. Ga is a problem when it comes to things like that. I hope they understand I cant get a Dl with out losing my stuff in Ga. I will see you on the 7th so any advice and tips will help. I will actually be coming in on the 5th. Will spend the weekend studying and relaxing. I know they use a few different hotels from around the area but a list of restaurants in the area would be nice so I can pick up a few gift cards. I looked at the la quinta inns because they said that would be our stay but I dident find many big name places near by. So take a look outside the main city is what another driver told me. every thing from red lobsters to waffle house just outside the expressway loop around the main city. Thanks for the help I start Monday I'll keep a running update best I can on the day by day works as well to may be help any one else out with how it works. I got the final on the 50.00 gift card as well its for the weekend gap in the 3 meals a day as they don't feed you on the weekends. If I make it, their should be a day by day list of what is expected on hear starting Monday night that is if the motel has any wifi for this crap top I'm using. I hope I can be of help to others this way if nothing else so they don't arrive without the full info they need. Talked with my recruiter the deal on my paper work and saying 240,000 is in the way they train and then hire you. they do not let rookies have a truck alone like some places so they pair you with any Exp driver willing to team so you can get more Exp and they can move more faster. I have a co driver in my class that's joining with me so we can get a truck after the trainer turns us loose. That's the only way a rookie can get a truck and not have to go with a Exp driver for 240,000. We will still have to do the 240 but we get to go do it together as a team of rookies. I had not heard about a 50.00 gift card, she said only at week 4 we would earn 50.00 a day with the trainer paid out in a pay check. I don't think you was out of line hell I asked on this site because I wished to know things from others. I will give it my all but as to getting my permit before I go she said I still got to get one their so why pay for it hear as well I'm broke as it is. I cant get a DL in that state or I can go to jail in my state I'm on state assistance if I do they cut my family off. I asked them today and the DMV hear will not allow me to keep my DL if I get it in another state. The lady said only that I will get my cdl with them that's the reason I have to bring 2 bills with my address on it. Guys I'm getting different stories on how Celadon cdl works. I'm in the class before you and have a co driver with me in same class. We got two different letters to join he got one that said the basic same thing and I got one with the 240,000mile requirement and that's going to take more that a 12 month span to do. If you guys locate any better info please pass it to me. I have a second Co. that will train in 3 weeks and its a pay deduct course but only 1,100.00 and 12 months in a Reefer. I will turn around at the door if I find out I have to do any thing different than I was told. Ok I start school at celadon soon and have seen all the back lash on other sites and have started to wonder about my choice. I have been told we have to drive 120,000 miles to settle the contract by one recruiter and go to 3 weeks of class then you get paid 50.00 a week for 6 weeks and don't get into a truck to get paid till 4th week that being the first paid week, starting then to get the 200 hours of road driving. They provide a hotel 3 meals a day for the 3 weeks in class. after you get done training they pay us .36c each mile at forced dispatch. They offer .3c per mile every 17,000 mile a month if dispatched that many. I talked to a few guys that had worked for them and gave me a different story. They say the pay is on a scale and they try not to give you the miles to get any thing extra. they also said that they had seen others that had been made to drive 240,000 miles before released. I have a letter telling me to be in class and it says new drivers sent out at 240,000 miles as a team driver. Dose any one know the truth why all the different stories from people and what should I expect? I also was ready to get my permits in my home state but was told not too because the rules and laws are different at the training schools home state? 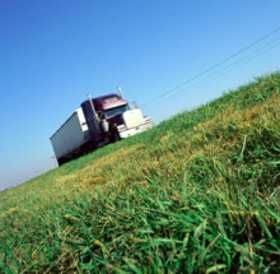 Is it easy to get a permit in that state or the cdl why not have my permit already? My home state also says I may have to still come back and get take a cdl test their before I can transfer the out of state cdl? If I have to do this I have to have my own truck and trailer to test in. I stress the may in that statement the state troopers said if it's a paper copy not a hard copy or the test was not given by a department of motor vehicles instructor they do not except it. He said this is because in some states they allow you to drive with a trainer who is a Rep of the state or certified by that state and they just sign off and give you a cdl after you complete so many hours on the road and you aren't tested at the DMV. So Dose any one know what the real deal is and am I going the long road to a dead end?